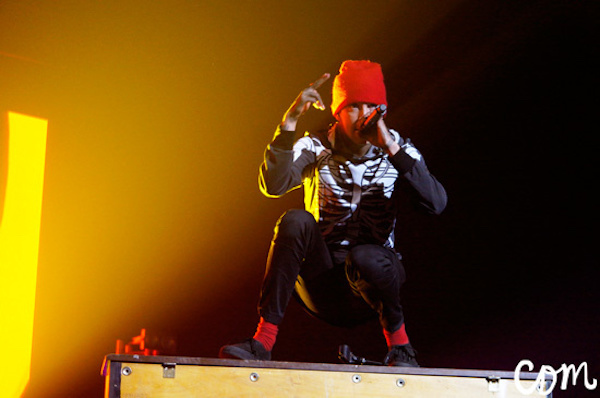 Review: Twenty One Pilots - Vector Arena, April 2016. 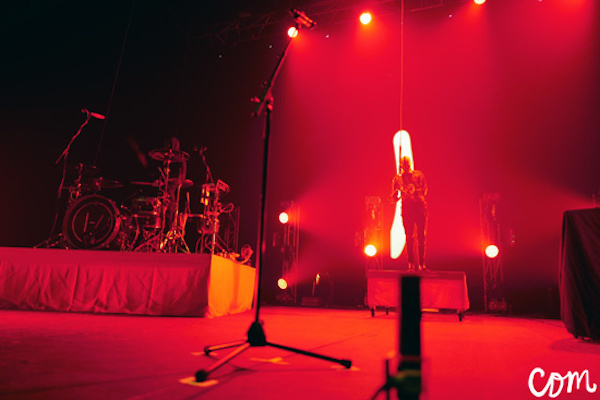 Since their last Auckland show at The Powerstation in July 2015, Twenty One Pilots have amassed an even larger following. This quickly became evident at last night's sold-out Vector Arena gig, which was also the first night of their new tour. 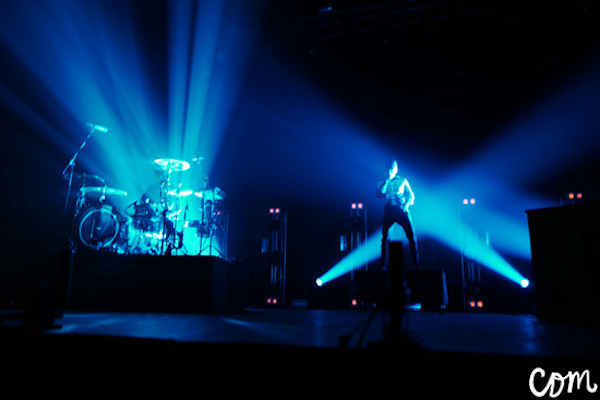 The show, which changed venues to accomodate a larger capacity, is a testament to just how much this band has grown in both talent and fanbase - and it looks like they're only going to get bigger. 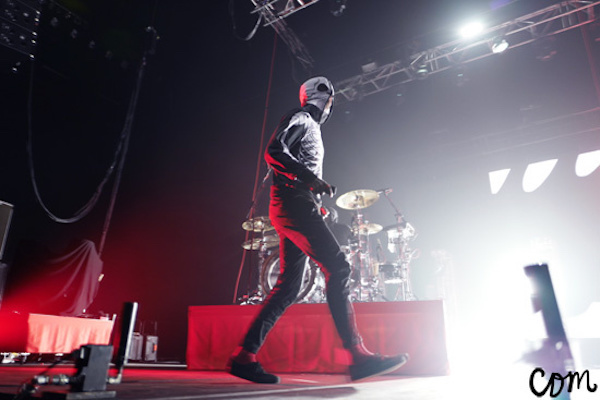 An immense army of fans, known affectionately as the 'Skeleton Clique', packed out the arena in red beanies, with many donning black paint across their necks and hands - a symbolic gesture representing frontman Tyler Joseph's 'Blurryface' persona. 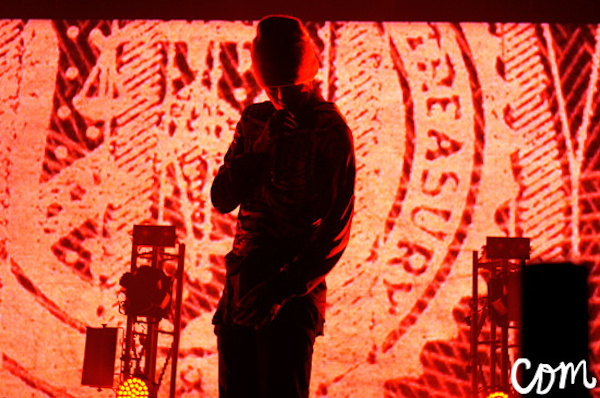 Dressed in his classic skeleton onesie, with a balaclava-style hood covering his face, Tyler took to the stage armed with a drop-down microphone and a tambourine to deliver a haunting performance of 'Heavydirtysoul'. Collapsing on the ground with all the theatricality you'd expect, he left the crowd to belt out the bridge, which, of course, was delivered flawlessly. 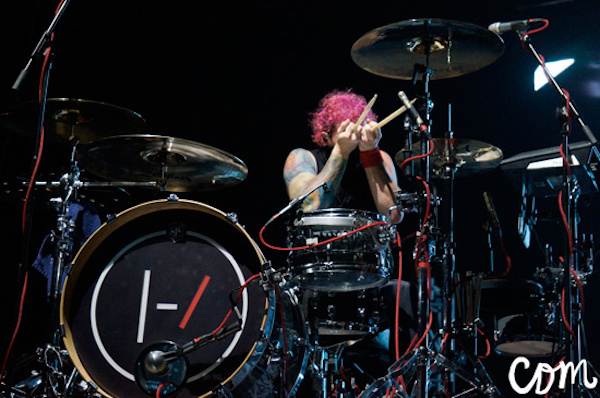 At his side was his 'best fren' and bandmate Josh Dun on drums, who is known to give a larger than life performance for someone who'd typically be trapped behind his drum set. 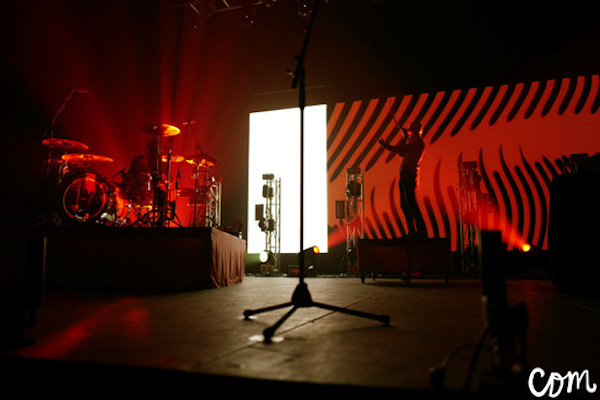 Following the opening song was string of crowd-wide sing-alongs including the recent summer hit, 'Stressed Out', and and classics like 'Guns For Hands' and 'Migraine'. Their 2015 album, 'Blurryface', is a concept exploration which is unseen in a lot of today's mainstream music. 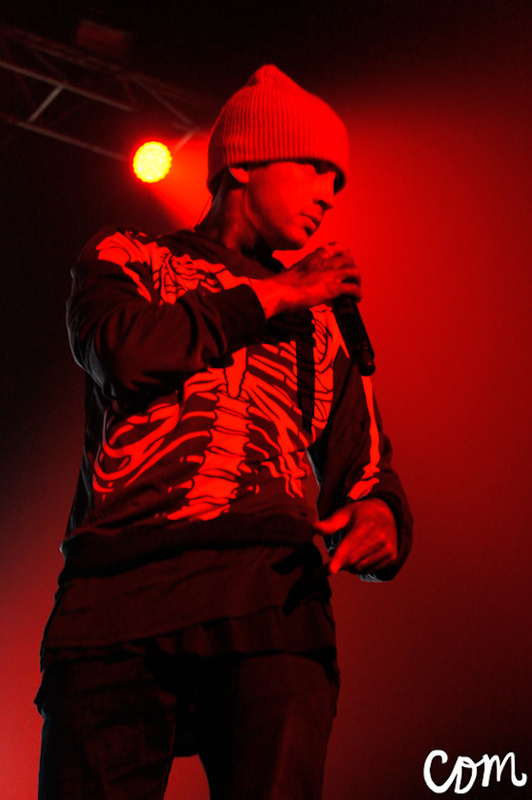 The album depicts Tyler's internal struggle against an intangible demon bearing the same name as the album. 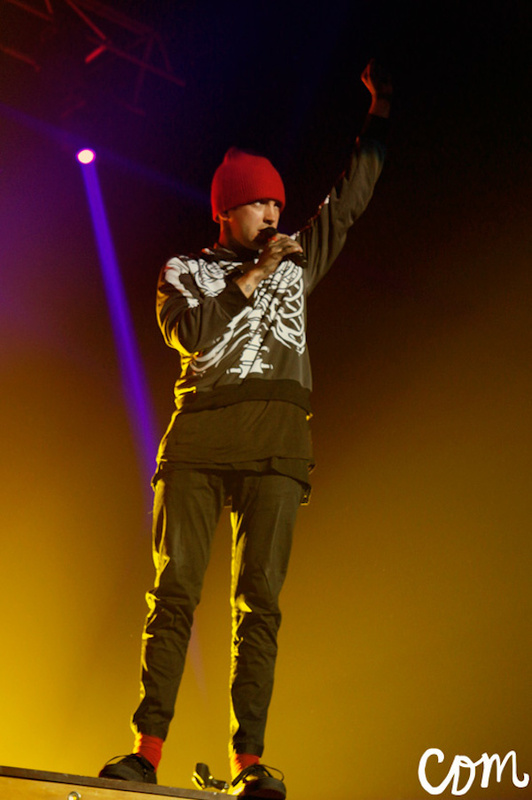 Like most Twenty One Pilots lyrics, the album contains an introspective look at oneself - which Tyler, as a frontman, expertly conveyed to the audience with his animated singing and (at times) terrifying dancing. Perfectly complementing the schizophrenic sound of their music, the band's onstage behaviour is nothing short of erratic - in the best way possible. 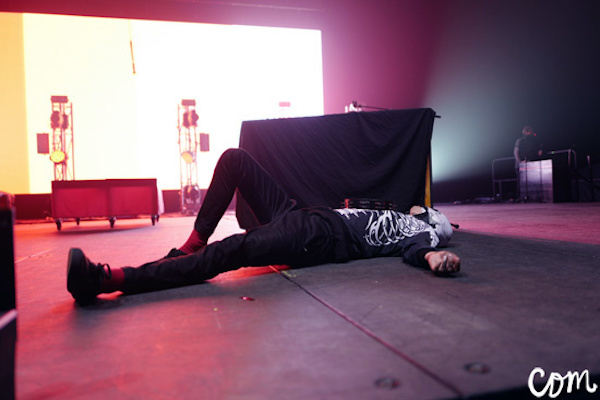 The entire show paid an incredible tribute to the nature of this album, with red mood-lighting creating pockets of darkness across the stage and the occasional strobe, and of course, their usual uniforms: Tyler's Blurryface getup(s) and Josh's red hair, red cap and lack of shirt. 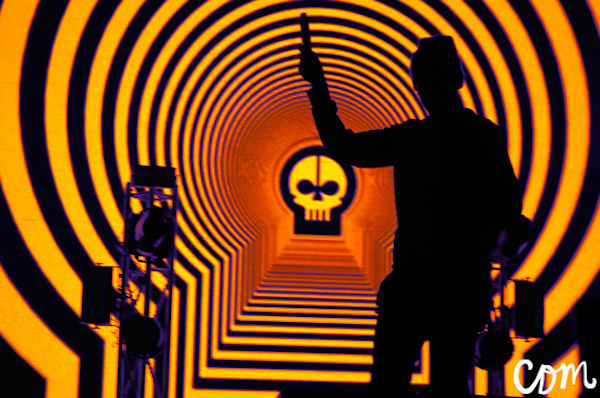 Their performances of newer songs felt like you'd literally entered into a mind plagued by Blurryface himself, while older songs acted as a well-received nod to the past. Midway through the show, Tyler donned a floral kimono and large white sunglasses as he strummed his almost-novelty-looking ukulele for the band's happier-sounding songs like 'House Of Gold' and 'We Don't Believe What's On TV'. 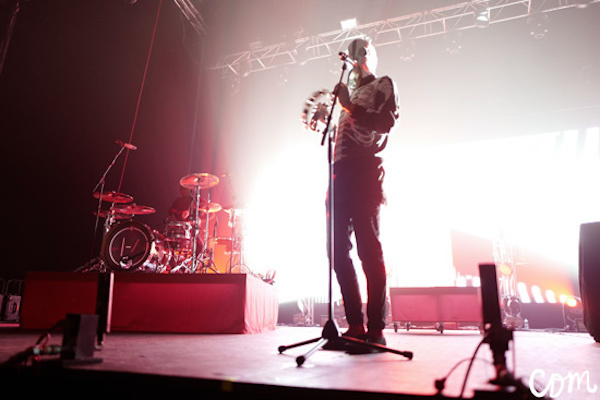 It seemed like a completely different person to the skeletal brooding man who opened the show, but that's exactly how Tyler plays into the Blurryface persona. This segment of the show also blessed the crowd with a heart-melting rendition of Elvis Presley's hit 'Can't Help Falling In Love'. Coincidentally this cover made a lot of fans fall in love with TØP when the band first uploaded it to YouTube in 2013. The juxtaposition of Tyler's soothing voice in these types of songs versus his flawless rapping skills are a huge indicator of his vocal abilities. 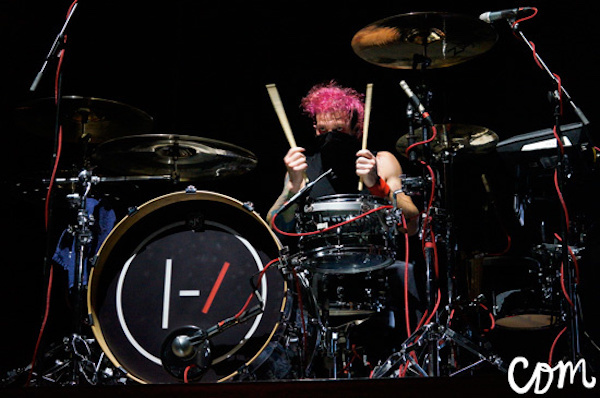 Although, you can't have Tyler without Josh, and it would be a huge disservice to not sing praises for the sheer talent that man displays on the drums. Getting his (much deserved) moment to shine with a portable kit held up by the crowd, Josh proved you don't have to be the frontman to steal the show. 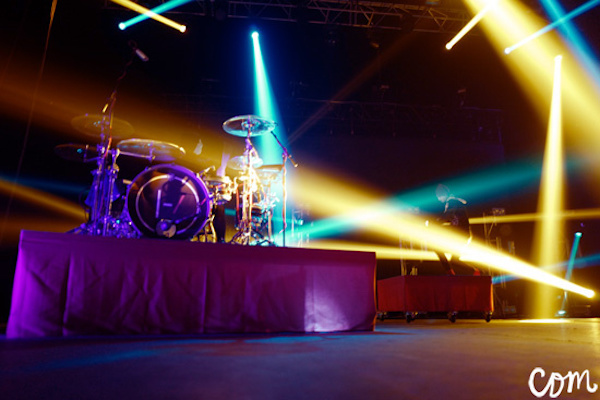 For a band consisting of only two guys, Twenty One Pilots do well to increase their stage presence tenfold. These two are widely known for onstage antics like backflips off pianos (here's looking at you, Josh), crazily high jumps off any accessible set-piece, and extreme crowdsurfing - y'know, the kind where they take their instruments into the crowd. 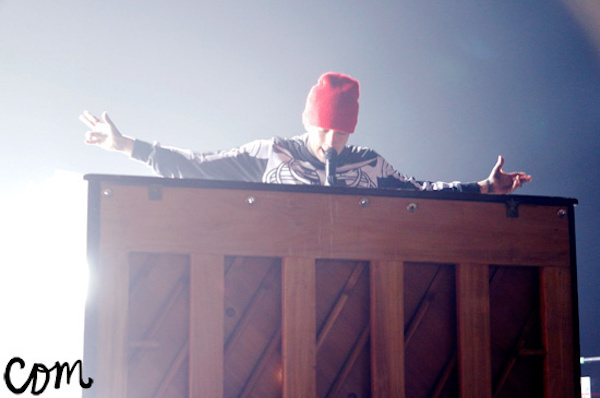 It's probably not a TØP concert unless Tyler's climbed up to some dangerous point and serenaded the crowd, who're probably all praying he doesn't fall. Luckily for Auckland, this show was no exception - and Tyler, as always, kept his balance as he stood unharnessed above the crowd on a metal ladder near the soundbooth. 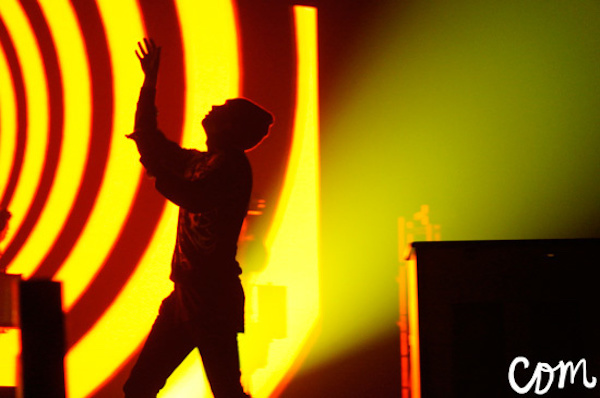 Another interaction that always goes down a treat is when Tyler instructs the crowd to "stay low" and crouch down during 'Lane Boy', and when the beat picks up, everyone jumping back up and dancing like crazy. 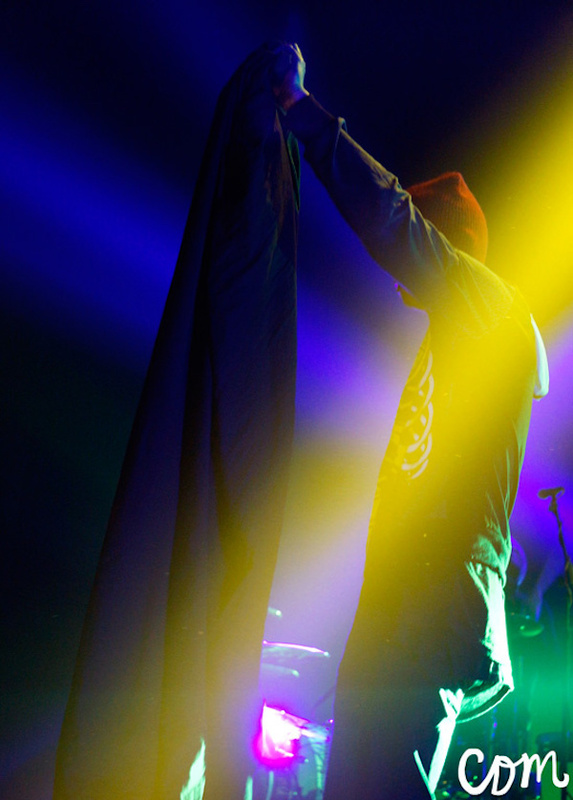 It's almost like mirroring Tyler's onstage movements, which really helps you feel like an integral part of the show. 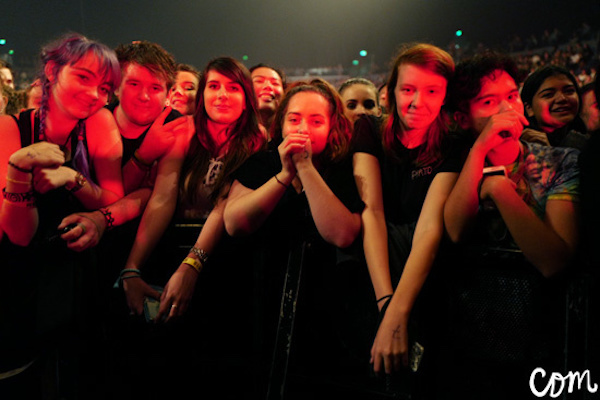 This sort of connection is reinforced completely when the crowd is told, "We're Twenty One Pilots and so are you.” Awww, guys. 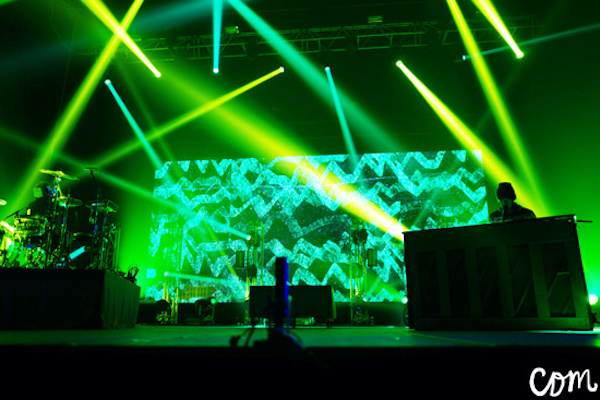 Their performance came to an end with an encore featuring two of the band's most emotionally-provoking songs, 'Goner' and 'Trees'. 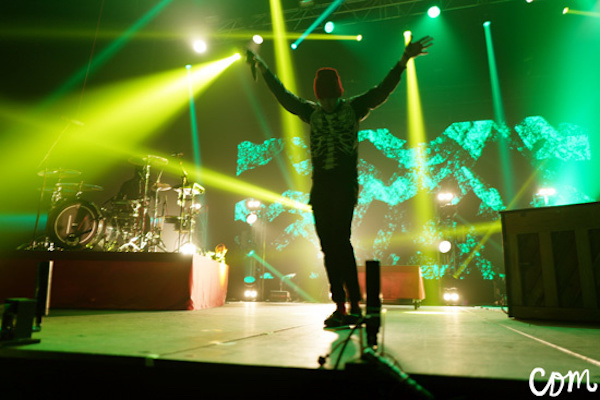 It may seem like a sombre send-off, but these performances were nothing short of electric, with both boys connecting with the crowd in a way only Twenty One Pilots could achieve. It's not hard to see how they are constantly playing sold-out crowds; their music, their personas and their performances are a unique blend of strange, unpredictable and personable characteristics that a lot of modern acts today lack. Their weird and wonderful sound is a true testament to the boys as people, and these are reflected reciprocally in their shows. After all, Tyler did claim to be wearing his good underwear for the first show of the tour.